In a stern warning to China, the US has said it will protect its interests in the disputed South China Sea and defend international territories from being taken over by “one country”. “I think areas in the South China Sea that are part of international waters and international activities... I think the US is going to make sure that we protect our interests there,” White House Press Secretary Sean Spicer told reporters at his first news conference. “So it’s a question of if those islands are in fact in international waters and not part of China proper, then yes, we’re gonna make sure that we defend international territories from being taken over by one country,” Spicer said. 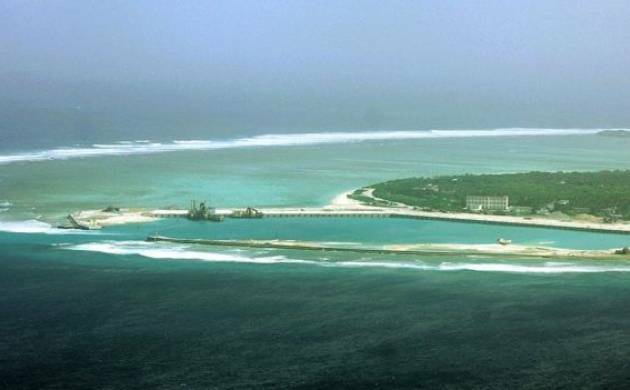 He was responding to a question related to a recent statement made by Secretary of State nominee Rex Tillerson that US would deny China access to these islands as they are in international waters. China in a strongly worded statement had warned US of a war if it is denied the access. The US President, Spicer said, understands that China is a big market—for US goods and services. “When he met the head of Alibaba a couple of weeks ago, that was part of the point. There’s huge market issue there. But in many cases, it’s not a two-way street,” he said. “There are so many Chinese businesses and individuals frankly, who can have ease of access in the United States to sell their goods or services,” he added. “I think that whether or not you’re talking about the financial services or the banking, you know, the other service industries, or our manufacturing goods and services, or some of the IP problems that we have with China, that it really is not a two-way street,” Spicer said. “So he understands the market that China has and our desire to further penetrate that market. “But he also recognises, there’s a lot of concerns with how we are treated entering into China’s market, and we need to review that,” he said in response to a question.